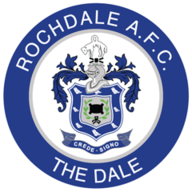 Match ends, Bury 0, Rochdale 4. Second Half ends, Bury 0, Rochdale 4. Attempt blocked. Jordan Williams (Rochdale) right footed shot from outside the box is blocked. Callum Camps (Rochdale) wins a free kick in the defensive half. Foul by Tsun Dai (Bury). Delay in match Joe Skarz (Bury) because of an injury. Attempt saved. Harry Bunn (Bury) left footed shot from outside the box is saved in the bottom right corner. Tsun Dai (Bury) wins a free kick in the defensive half. Saul Shotton (Bury) wins a free kick in the attacking half. Substitution, Rochdale. Oliver Rathbone replaces M.J. Williams. Attempt missed. Neil Danns (Bury) right footed shot from outside the box misses to the right. Corner, Bury. Conceded by Jordan Williams. Corner, Bury. Conceded by Joseph Rafferty. Substitution, Rochdale. Andrew Cannon replaces Bradden Inman. Harry Bunn (Bury) wins a free kick in the defensive half. Attempt missed. Jordan Slew (Rochdale) right footed shot from the left side of the six yard box is close, but misses the top left corner following a corner. Corner, Rochdale. Conceded by Joe Skarz. Corner, Rochdale. Conceded by Leonardo Fasan. Attempt saved. Jordan Slew (Rochdale) right footed shot from a difficult angle on the left is saved in the top left corner. Attempt saved. Joe Bunney (Rochdale) left footed shot from outside the box is saved in the top right corner. Foul by Ryan Cooney (Bury). Jordan Slew (Rochdale) wins a free kick in the defensive half. Callum Reilly (Bury) wins a free kick in the defensive half. Foul by Daniel Adshead (Rochdale). Corner, Bury. Conceded by Josh Lillis. Attempt saved. Mihai-Alexandru Dobre (Bury) right footed shot from a difficult angle and long range on the left is saved in the top centre of the goal. Saul Shotton (Bury) is shown the yellow card for a bad foul. Foul by Saul Shotton (Bury). Substitution, Rochdale. Jordan Slew replaces Ian Henderson. Corner, Rochdale. Conceded by Ryan Cooney. Goal! Bury 0, Rochdale 4. Ian Henderson (Rochdale) left footed shot from the left side of the box to the bottom right corner. Assisted by M.J. Williams. Greg Leigh (Bury) wins a free kick on the right wing. Foul by Harry Bunn (Bury). Callum Camps (Rochdale) wins a free kick on the left wing. Joe Skarz (Bury) wins a free kick on the right wing. Second Half begins Bury 0, Rochdale 3. Substitution, Bury. Callum Reilly replaces Alex Whitmore. Substitution, Bury. Harry Bunn replaces Callum Styles. First Half ends, Bury 0, Rochdale 3. Callum Styles (Bury) wins a free kick in the defensive half. Foul by Joe Skarz (Bury). Jordan Williams (Rochdale) wins a free kick in the defensive half. Alex Whitmore (Bury) wins a free kick in the attacking half. Goal! Bury 0, Rochdale 3. Bradden Inman (Rochdale) right footed shot from the centre of the box to the centre of the goal. Assisted by Joseph Rafferty. Corner, Bury. Conceded by Joe Bunney. Corner, Rochdale. Conceded by Mihai-Alexandru Dobre. Corner, Bury. Conceded by Callum Camps. Neil Danns (Bury) wins a free kick on the right wing. Foul by Callum Styles (Bury). Attempt missed. Neil Danns (Bury) right footed shot from the centre of the box is just a bit too high. Attempt saved. Mihai-Alexandru Dobre (Bury) right footed shot from a difficult angle on the right is saved in the centre of the goal. Ryan Lowe (Bury) hits the right post with a right footed shot from the centre of the box. Attempt saved. Tsun Dai (Bury) right footed shot from outside the box is saved in the bottom right corner. Goal! 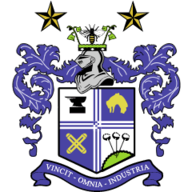 Bury 0, Rochdale 2. Bradden Inman (Rochdale) right footed shot from the centre of the box to the bottom left corner. Assisted by Daniel Adshead. Attempt saved. Callum Styles (Bury) left footed shot from outside the box is saved in the centre of the goal. Corner, Bury. Conceded by Kgosi Ntlhe. Attempt saved. Mihai-Alexandru Dobre (Bury) right footed shot from outside the box is saved in the bottom right corner. Goal! Bury 0, Rochdale 1. Joe Bunney (Rochdale) right footed shot from the centre of the box to the bottom left corner. Assisted by Bradden Inman. Corner, Bury. Conceded by Harrison McGahey. Attempt blocked. Neil Danns (Bury) right footed shot from outside the box is blocked. Tsun Dai (Bury) wins a free kick on the left wing. Corner, Rochdale. Conceded by Greg Leigh.